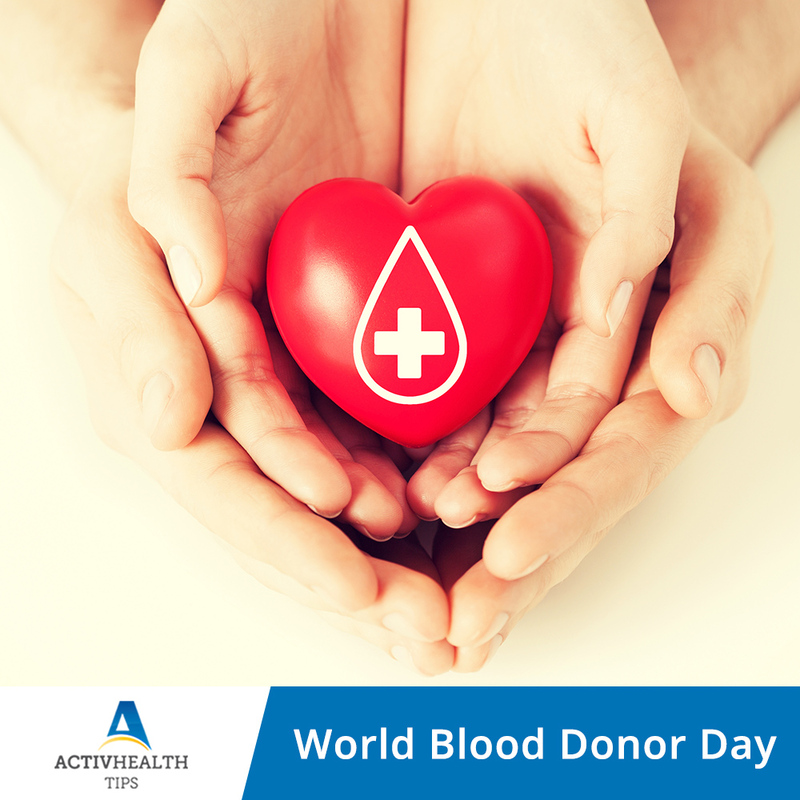 This day is to thank blood donors for their life saving gift, BLOOD. Every country should achieve 100% voluntary and unpaid blood donation. Safe blood is the fundamental need for every country`s health system which is necessary to save lives. Every 2 seconds someone needs a blood transfusion. More than 30,000 blood donations are needed every day to save lives. One road traffic accident victim may need as close to 100 units of blood. Donation of one unit that is 450 ml of blood can save 3 lives! Getting ready to donate blood? Know these facts before you proceed. People who have undergone recent surgeries, pregnant or lactating women should avoid donating blood. After donation have a snack and drink up to 4 glasses of extra fluids. Do not do any vigorous exercise for the day. Lowers the risk of developing heart attack, cancer and stroke when blood is donated regularly. Burns calories, donating one pint of blood reduces 650 calories in the donor`s body. Assurance to you and your family that blood will be available when need arises. Self pride that you have saved 3 lives in your community. If you donate blood from the age of 18 years, once every 3 months, you will be saving 500 lives! !